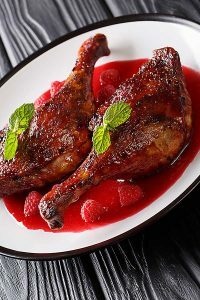 Confit is a preparation for meat to preserve it for long periods of time when fresh meat would be scarce. The meat is first salted to remove moisture. It is then cooked at the lowest of simmers, submerged in fat, until the meat is buttery tender. After the meat is cooled, it is stored in crocks and covered with the fat to prevent exposure to air. The whole crock is stored to help age the meat. During this aging period, the meat develops a new flavour, completely different from its original state. When ready to eat, the meat is fried in a skillet or grilled until the skin is crisp and the meat is warmed through. 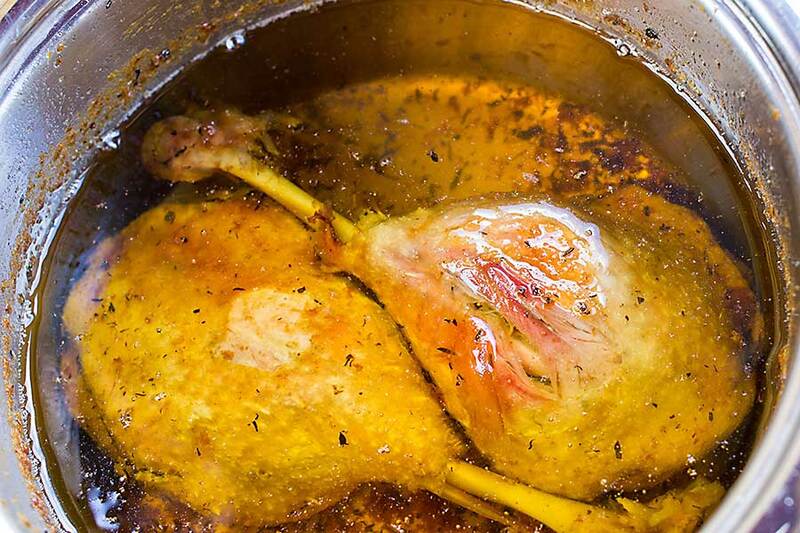 Duck confit was once served with potatoes fried in the same duck fat as the confit. This practice is less popular now, but good companions to the confit are lentils or bitter green salads to balance the richness of the meat. Fatty meats such as duck, goose, and pork work best in confit. Confit is an indispensable component in cassoulet. 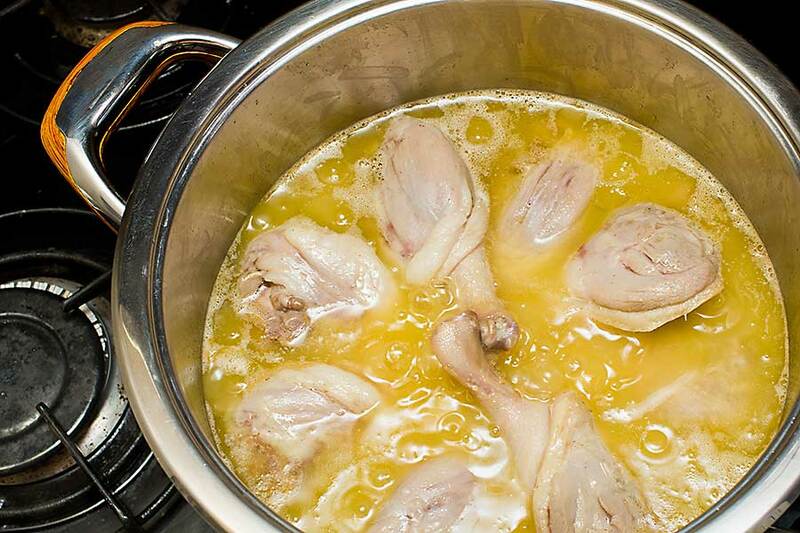 Confit is one of the oldest ways to preserve food. Slow cooking in fat, derives from the culinary tradition of south-west France. 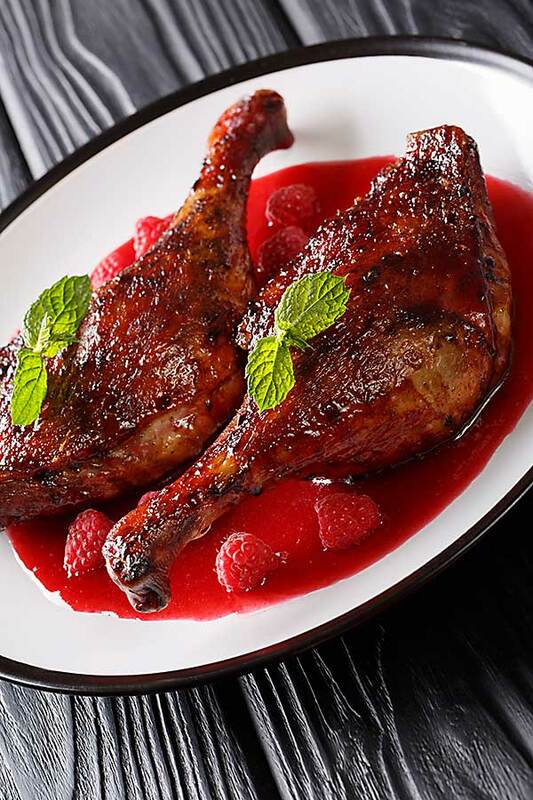 Confit is a very old method of preservation of food, especially meat, through long-term thermal processing mostly in deep fat of the same species as processed meat. Confit meat could be kept cool for up to three months. Currently, goose or duck meat is being cured, only for the taste values. The meat is taken out from fat, browned on all sides in a pan or grill, in a roasting pan or in the oven and the course is ready to eat.